3D SkyFight is an arcade dogfight game. 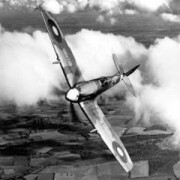 There are several famous WWII aircrafts, such as SpitFire and BF109. Your fighter shoots automately, and you only need to control its position through the arrow keys or touchscreen. Good Luck.